The Autism Society of Washington is pleased to present the Best in the Northwest Autism Conference! This year, we will be focusing on transitions. Come to hear speakers about transitioning to high school, college, the work place, and beyond! Our keynote presentation will be “Things No One Ever Told Me After My Son Was Diagnosed With Autism” by Frank Campagna, a.k.a. the Autism Daddy. Frank is the father to a 14 year old son with classic autism. He has been riding the special needs roller-coaster for over 12 years now and has been writing about his experiences and has become a social media sensation with his blog and Facebook page. His claim to fame is giving people a realistic, non sugar coated look at the world inside an autism household; the good & the bad… the pee & the poop. Frank has also worked at Sesame Street for the past 23 years, and worked closely on their recent autism initiative, Sesame Street & Autism: See Amazing in All Children. 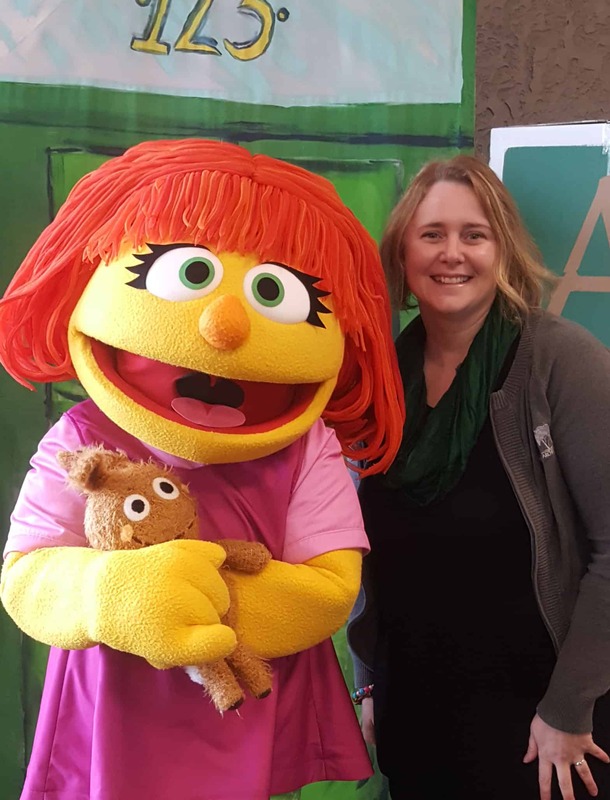 The big highlight for me was getting to meet Julia, the newest member of Sesame Street, and a girl with autism. This may be the closest I get to my dream of actually being on Sesame Street! I’ll take what I can get.